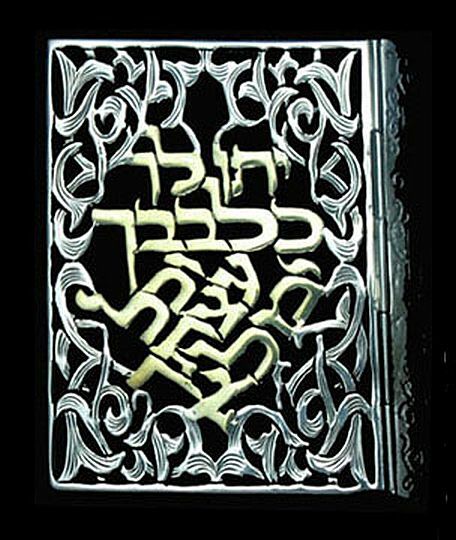 The cover of this beautifully decorated book has been designed in uniquely hand crafted sterling silver. “May He grant you your heart's desire, and fulfill your every counsel.” Psalms 20:5"
spirituality, wealth, success and all the blessings for every situation that we all wish for. This unique Book of Psalms would make a very thoughtful and admired gift to the special men in your life. Grandfather, or friend this book will be greatly appreciated by all! The book is presented in a stunning velvet bag for easy storage and protection. There is room on the cover for the engraving of a personal name and dedication. May also be purchased as a set with a matching Prayer Book.